Coun. 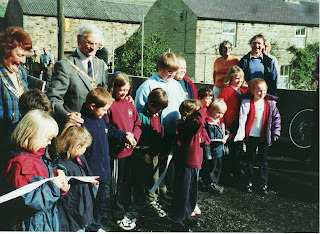 John Richardson opened the new bridge at Ireshopeburn on 22 September 2000, helped by children from the local schools. The Ireshope burn runs into the River Wear a short distance from here.